Movie historian Leslie Halliwell has quoted French filmmaker François Truffaut as observing "I make films that I would like to have seen when I was a young man." It is difficult to believe that there exists a film that Truffaut didn't see as a youth. The product of an unhappy, loveless home, Truffaut began using films to escape the exigencies of reality at age seven, virtually living in various Parisian movie houses. He left school to go to work at 14, and, one year later, founded a film club, which brought him to the attention of influential cinema critic Andre Bazin. Over the next few years, Bazin both financed and protected Truffaut, helping the young cineaste weather such crises as his arrest for nonpayment of debts and his 1951 public humiliation following his desertion from the Army. In 1953, Bazin hired Truffaut as a critic/essayist for Cahiers du Cinema. 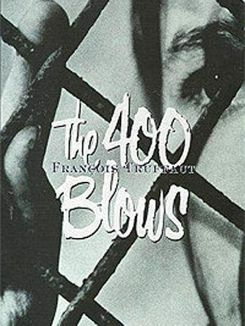 It was in the January 1954 edition that Truffaut published his landmark essay "A Certain Tendency in the French Cinema," in which he attacked directors who merely ground out films without any personal cinematic vision; he also propounded the auteur theory, which opined that the only directors worth serious consideration were those who left their own individual signatures on each of their films. Forever marching to his own drummer, Truffaut parted company with his mentor Bazin over certain directors, including William Wyler, whom Truffaut found too bound to "theatricality" for his tastes. In later years, Truffaut noted that writing critiques enabled him to understand why he loved films and to rationalize his reasons for liking them. Hoping to put his auteur theory to practical use, Truffaut decided to direct a short film, 1954's Une Visite. In 1957, the same year he married Madeleine Morgenstern, the daughter of a major film distributor, Truffaut set up his own production company, Les Films du Carosse (named in honor of the Jean Renoir film Le Carrosse d'Or). He garnered critical acclaim for his 1957 short subject Les Mistons, and two years later he made his first feature, the intensely autobiographical The 400 Blows. Cast as Truffaut alter-ego Antoine Doinel was young Jean-Pierre Leaud, who went on to play Doinel at various later stages of his life in Truffaut's four follow-ups to 400 Blows. In 1961, Truffaut directed what many consider his masterpiece, and what not a few observers regard as the finest film of its year: Jules et Jim, a hauntingly beautiful tale of a lingering romantic triangle. Though in the vanguard of the French New Wave (he contributed to the scripts of such groundbreaking films as Jean-Luc Godard's Breathless), Truffaut was never a hard-to-fathom aesthete, but, instead, the most successful filmmaker in France, as popular with casual fans as serious film students. He also differed from his New Wave colleagues by avoiding overt political statements: Even his most "politicized" film, 1980's The Last Metro, was more in the romantic tradition of Renoir than the tract-like pronouncements of Godard. In developing a style of his own, Truffaut was heavily influenced by his idols Jean Vigo, Jacques Tati, and especially Renoir, whom Truffaut admired for his ability to simultaneously depict the realities of life and "improve" upon them. "To make a film is to improve upon life, to arrange it to suit oneself, to prolong the games of childhood, to construct something that is at once a new toy and a vase in which one can arrange in a permanent way the ideas one feels in the morning." Like Renoir, Truffaut endeavored to make films that approximated real life, but were romanticized enough to be entertainment. Truffaut also admired such Hollywood directors as Alfred Hitchcock, Howard Hawks, and Orson Welles. 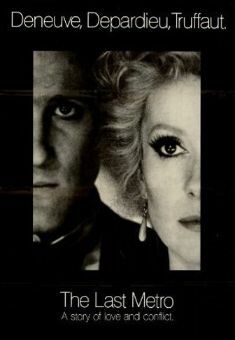 Echoes of Hawks and Welles would persist throughout Truffaut's career, while Hitchcock was imitated outright in 1967's The Bride Wore Black. His love affair with Hollywood films was manifested in his frequent employment of Tinseltown stalwarts like novelist/screenwriters David Goodis and Cornell Woolrich, and composer Bernard Herrmann. Curiously, despite his affection for American films, Truffaut remained monolingual throughout his life; his inability to communicate in English has been cited as the major reason for the comparative failure of his only English-language effort, Fahrenheit 451 (1966). As he matured professionally, Truffaut's previous attention-getting techniques grew less pronounced, and he began favoring the "invisible camera" à la John Ford. After finishing his Oscar-winning Day for Night (1973) -- a film about the making of movies -- Truffaut announced his retirement from directing, but, within a year, was back on the job. In addition to his directorial activities, Truffaut also produced the works of others, and occasionally dabbled in acting, first in his own films (The Wild Child, Day for Night, etc.) and later in the leading role of French scientist Claude Lecombe in Steven Spielberg's Close Encounters of the Third Kind (1977). At the time of his death from cancer at the age of 52, Truffaut was busily preparing a distaff variation of The 400 Blows: The Little Thief. The project would ultimately be completed by Truffaut's protégé/collaborator Claude Miller. Truffaut's extensive published works include Les Films De Ma Vie, Hitchcock, and various collections of his letters and magazine articles. In addition to his Oscar for Day for Night (which also earned citations from such groups as the New York Film Critics and the British Film Academy), Truffaut was honored with the Cannes Film Festival Best Director prize for The 400 Blows, a Best Director César for Le Dernier Metro (1980), and the Prix Louis Delluc and National Society of Film Critics Award for Stolen Kisses (1968).